Build Your Business! Live Your Dream! Our new ONLINE training course is launching by year-end! Our mission at Fiscal Foundations has always been to “improve the success and success rate of small businesses!” Since 1994, we’ve trained business owners and bookkeeping staff in over 650 local businesses through our onsite consulting services, and several thousand more through our 1500+ member Meetup Group and classes we have taught for S.C.O.R.E in Minneapolis, St. Paul, and Dallas, Women Venture, University of Minnesota, St. Paul College, St. Thomas University, African Economic Development Group, Korean Business Group, Science Museum of Minnesota’s Computer Education Center, other computer education companies, various trade shows and industry groups, and bank and credit union sponsored workshops around Minnesota. Our new online curriculum will reach nationwide and around the world! It will be a complete training course in how to set up a new business, design a business model to delight customers, project income and expenses for the first three years, and create a cash flow projection for startup and the first year of operations, all to be incorporated into a solid business plan. Then we’ll teach accounting principles needed to set up the bookkeeping QuickBooks® software, create and interpret financial reports. We’ll discuss the tools and analysis to manage the company’s financial performance and take corrective action when needed. Over 72% of the reasons businesses fail are related to a lack of understanding financial management. We’re excited to be extending our reach to strengthen the small business community in America and in developing nations! We’ve worked with businesses in France, South America, and Africa in past years and have received interest in our new program from India and Afghanistan. Our program will include video training, software demonstrations, webinars, one-on-one coaching support, QuickBooks® software and apps. 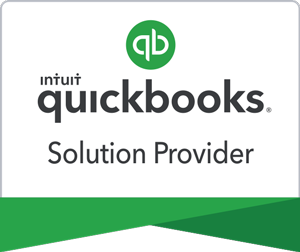 The program will also be a valuable asset to current business owners wanting to learn more about QuickBooks®, improve their business performance, and train their bookkeeping staff members. Our videos are being produced by Mark Evans of Bubo Learning Design, Plano, Texas; and our additional website is being built by Steve Borsch, our first client in 1994, and designer of our fiscalfoundations.com website! My former business partner, Robin Lawton, a nationally known corporate consultant in customer satisfaction, produck quality, and process improvement will provide training based on his best-selling books: Creating a Customer-Center Culture and Mastering Excellence! When the program launches, we will have a special offering for our current clients! Stay tuned!